Alfa Romeo cars pull hard on your heart strings all while your head tries to stem the desire of buying a classic Italian with all the inevitable risks that may bring. The Alfa Romeo Sud doesn’t exactly help the cause either when even brand new cars showed signs of rust after their shells were left outside during the many strikes that blotted its lengthy production run. A crying shame because although nearly one million made it into this world very few remain in circulation today (57 in the UK according to howmanyleft.co.uk) to keep the fight up with VW and others in reminding us how great this little car still is. 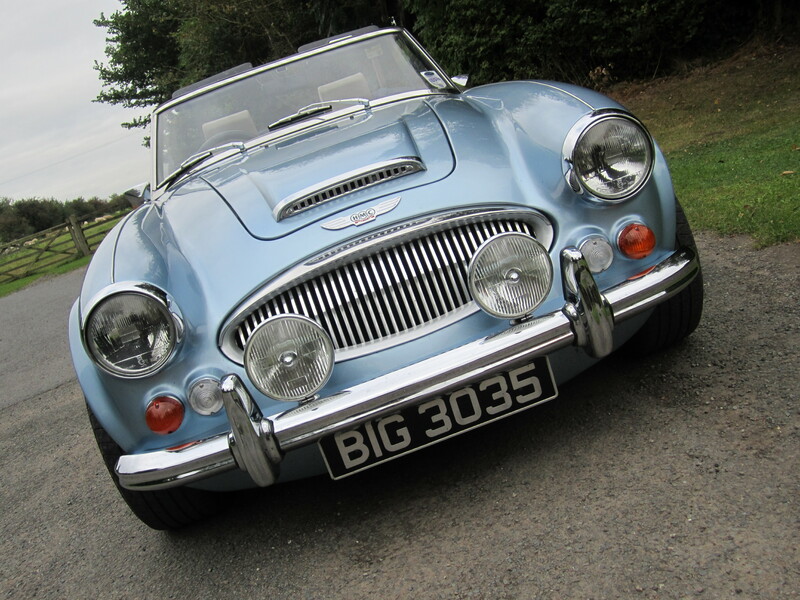 Thankfully Graham Eason of Great Escape Cars, based in Worcestershire (UK) has his own private example secreted away in the corner of an already impressive garage and he was kind enough to let us drive it. 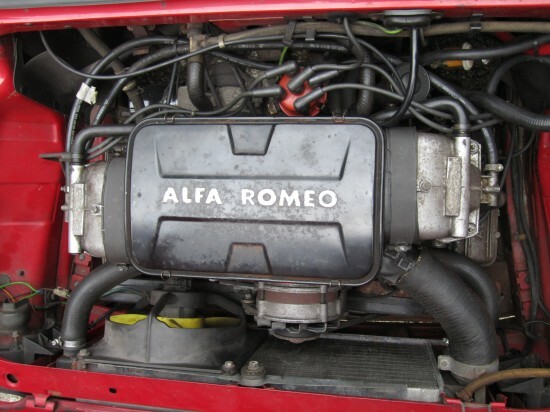 Graham’s bright red late edition 1.5Ti Alfa Romeo Sud looks surprisingly up to date. In fact if you saw one today sat in a new car showroom wearing a Korean car company badge on its nose you wouldn’t give it a second glance such is its timelessness. 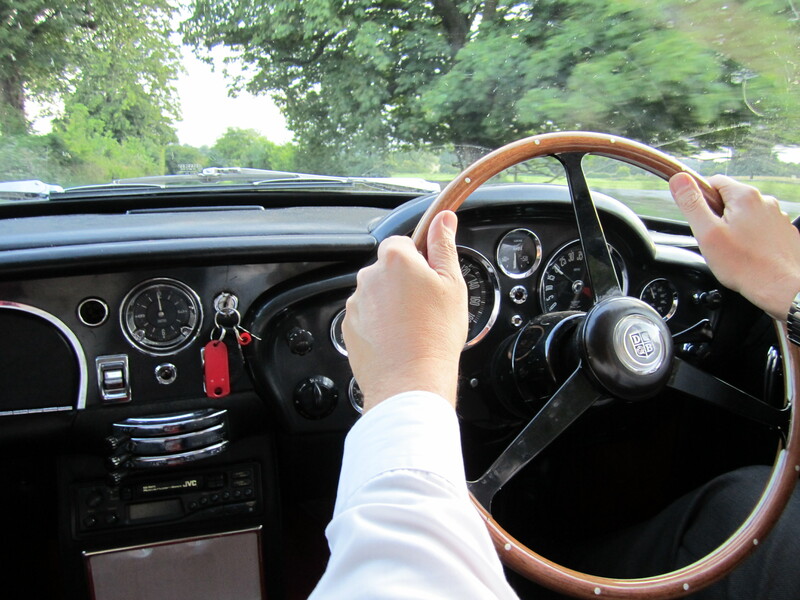 Dials, steering wheel, choice of cloth trim simply fail to wind the clock back thirty years. Turn the key in the equally modern barrel and fire the light weight flat 4 petrol engine into life and things begin to feel a lot more period. Throttle response is just unbelievable with a touch seeing the rev counter swing eagerly up to 3-4,000rpm. The pedals themselves are in fact all razor sharp in their responses and oddly also placed towards the centre of the car a bit like in a 911, something to sort out in your mind first before setting off. When you do 105bhp will never feel better in a front wheel drive mid-sized hatch. The lightweight shell and finely tuned chassis, including classic trademark multi-links on the rear, make the experience simply divine. Quite amazing given the original design was conceived nearly thirty years before Ford claimed something similar as a selling point on the launch of the Focus in 1999. A few miles in and you realise that the secret to piloting a Sud quickly revolves around keeping the speed up by not braking too much for bends when the low centre of gravity, helped immensely by the flat 4 engine, translates into an extremely quick cornering capability. No tyre squeal, no fuss or despite how it feels surprisingly no rails either, fantastic. All with a raspy exhaust note and easy to stir 5 speed gear box enabling 2-3 hours of spirited driving to pass by in an instance. This despite the slightly awkward seating position that much like the Alfa GTV we drove somehow never feels quite right with bent knees and fully stretched arms. One other slight chip in an otherwise faultless armoury is how the steering feels, which is woolly by any standards despite the absence of power assistance. The sogginess is completely at odds with the race like chassis and pedal setup. This is far from being a disaster and after getting used to winding on more lock than seems natural, quickly overcome. Set yourself free along a quiet lane and you can have a complete riot. All while staying within the speed limit when just getting the car up to 60mph before the next bend is engaging and rewarding enough. 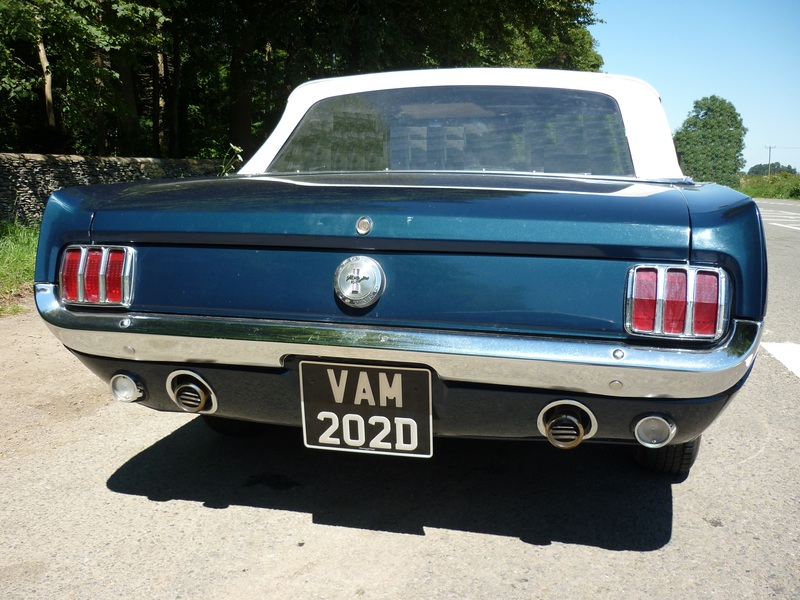 Combining that with the aural pleasure derived from the exhaust note with the anticipation on what the next corner will bring and you have a genuine drivers machine. With so few cars left in existence, the Alfa Romeo Sud is in serious danger of being forgotten when VW’s MKI Golf GTI continues to be so well represented and not in any danger of suffering the same fate. 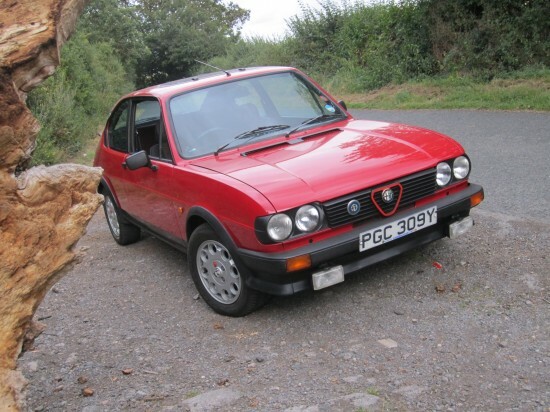 There is a definite case for holding an ‘across the decades’ styled contest between an Alfa Romeo Sud, Golf GTI and much newer Peugeot 205 or even 306 GTI just to see how they compare. Each is bound to excel in at least one area and for me in the case of the Alfa Romeo Sud it must be the pedal feel which is the best I’ve ever experienced. 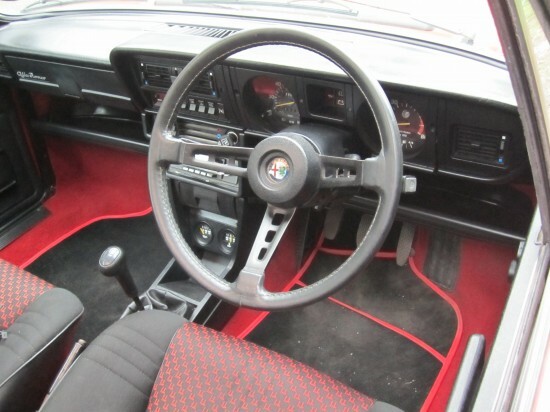 So much so if I would put it up there with the steering feel on an early Porsche 911T, it really is that good. I’ve never considered myself as Alfa-Tifosi but their cars do leave a long lasting impression. Rarely the most powerful and not without risk there is a flawed brilliance that comes with each model, elevating the brand to be up there with the best. 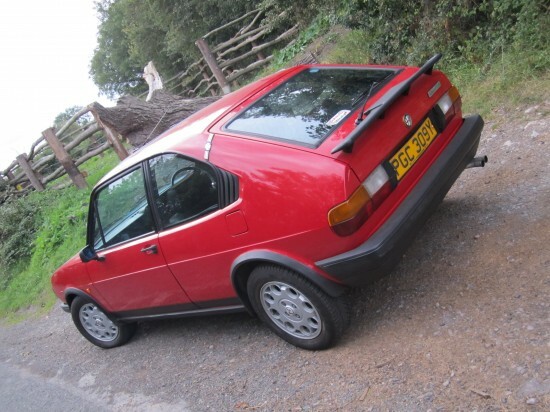 Find a decent Alfasud for sale and I would urge you not to miss out unnecessarily on what might well prove to be a great alternative to mainstream cars like the MGB-GT. Alfa Romeo Sud shows how advanced Alfa Romeo were when it came to their family cars as well as their Coupes. As a favourite meal: Pizza Express – Calabrese, not the cheapest but delicious. Anything Else: It is sad that the poor quality of the steel used on the Alfa Romeo Sud has left the MKI Golf GTI as last man standing without even a proper fight. Key Ingredients: Feather light shell, seriously sharp pedal responses and quite incredible cornering capability. 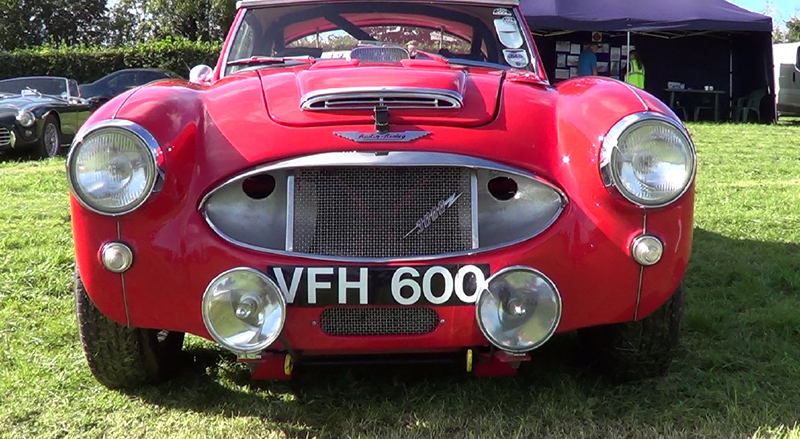 Iam interested in buying this car, please let me know the specifics of the car and the price. Unfortunately it’s not for sale 🙁 Matt.